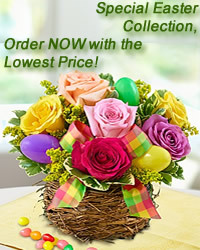 www.flowers-armenia.com Rated 5 out of 5 by 111 reviewes. Send that special someone this dazzling spectacle of color. Our stunning bouquet of 17 blooming flowers (including white lilies, red and white roses) with greens is sure to brighten up anyone's day.